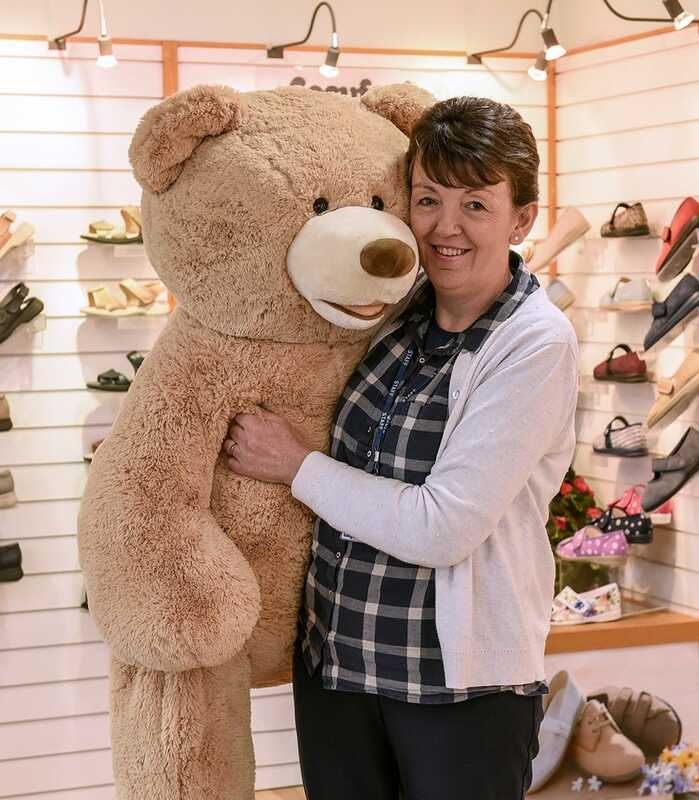 We are helping a local family raise money to carry out charitable work in Romania by raffling off a giant teddy bear at our flagship store in Somerset. Inspired by his daughter’s friendship with a Romanian pen pal called Alexandra, Tim Kelly, from Street, and his family have spent the last 18 years working to help people in the district of Bacau in Romania. Whilst on holiday in Romania in 2000, they visited Alexandra, who has Cerebral Palsy, and were shocked by the extreme poverty that they witnessed. She and her sister were living in one room with very basic facilities. Unable to forget what they had seen, when they returned to the UK Tim's daughter, Alice, raised over £6,000 which enabled them to pay for a week's camping holiday for many of the children from the Placement Centre in Onesti as well as buy an apartment for Alexandra and her family. Over the years the Kelly family have extended their support network by visiting The Grove, a care home in Bihor which looks after homeless people. Medical treatment in Romania must be paid for, so after emergency treatment in hospital, unless they have the money to pay, patients must go back onto the streets where they are in danger of freezing to death. The home, which is run without any support from the government, currently accommodates over 270 people, some of whom are mentally ill, have alcohol problems, are at risk of suicide and all have been abandoned by their own families. The Kelly family not only donate their time and love but also take vital resources including shoes donated by local companies including Cosyfeet. Millfield School and The Victoria Club have generously donated clothing. The Kelly family also regularly visit an orphanage where many of the children have disabilities. If you would like to donate to this worthy cause, pop into the Cosyfeet shop at The Tanyard, Leigh Road in Street where raffle tickets can be purchased. The raffle will be drawn on Thursday 14th June 2018. Our Cosyfeet shop manager, Liz, with our giant prize!